This is the second Speedo Pace cap I have had and I find them extremely comfortable, they are much easier to put on than silicone caps and they aren't as tight fitting so they don't pull your hair or give you a headache but they do stay in place. After a while they do stretch a little and they do take longer to dry off. Make sure you rinse them after use and turn them inside out to completely dry off, otherwise they do go a bit mouldy on the inside. Overall, I think they are excellent. 4 out of 5 Is it bigger than before? 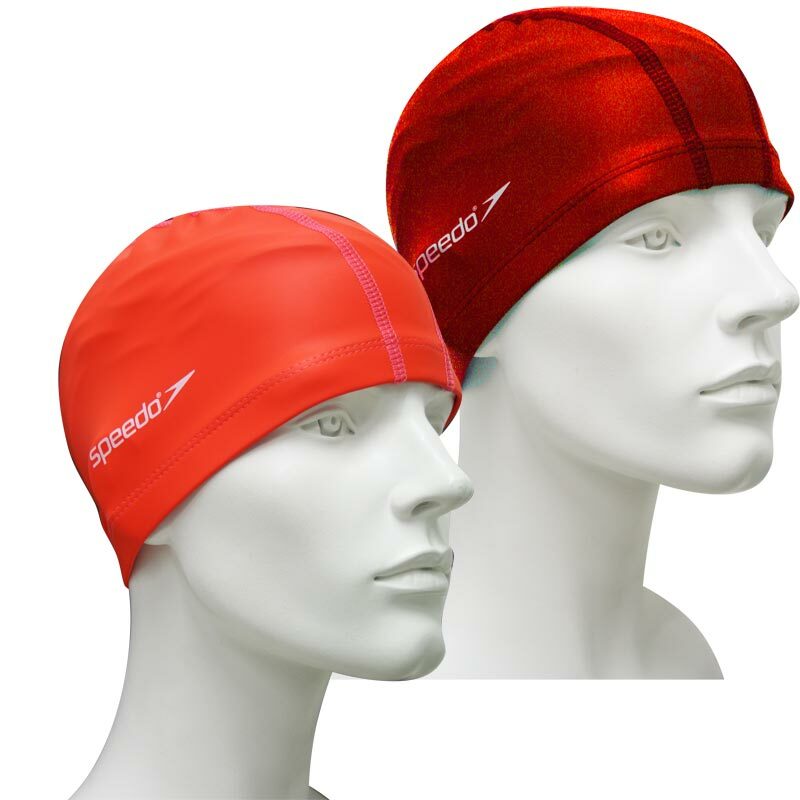 I have had loads of these Speedo Pace hats, and they are great but the last two seem to be bigger and you get a 'bubble' on the top of your head unless you really pull the whole thing down a long way. I've ordered a junior size to see if that fits better. I have long hair but was put off getting a swimming cap because of nightmarish memories of pulled hair from school - this lycra one is great - really comfy and easy to get on and off. I rather reluctantly decided to get a swimming cap as my very fine hair was ending up extremely tangled by the end of my swimming sessions and decided to choose this one. I'm very glad I did as it's very comfortable, fairly stretchy and doesn't pull my hair out like other swimming caps. I got the black one in the forlorn hope I would look as anonymous as possible but actually I'd look just as hideous in any colour so I might just go for it and get a couple more in brighter colours. The price of this cap is way cheaper than that other well-known website and the service was excellent, very quick ordering and fast delivery. I initially bought 1 white Speedo Pace Swim Cap and was delighted with it so I re-ordered two more, one in silver and black. They are a fabulous fit, comfortable and after a 50min swim my hair is dry. I would certainly recommend this swim hat for regular swimming, in addition the range of colours X 8offered is both extensive and vibrant. Lastly, they are great value for money. Kind regards, Nuala Barry. Happy Swimmer, Ireland. This is a great product if you don't the head crushing feeling of a traditional silicone cap. It keeps most of the water out, and warmth in and is can cover the ears if needed. Great value, so I ordered two. I teach swimming and recommend this cap to everyone, especially the bright orange one for Open water swimmers. The swimming cap was quite good. Unfortunately water did get in my hair. I am Nigerian so I do like to avoid this, however it has worked better than most caps I'had in the past. This is a replacement. The first cap lasted 5+ years. Excellent value. Extremely comfortable. I can not recommend this cap highly enough to train in. Welcoming service and prompt delivery. It is easy to give this product 5 out of 5. Superior swim cap and looks really cool too. My son swam faster immediately! First class qualty, service and delivery from Newitts.